PLEASE NOTE: The final round of the National Solar Schools Program (NSSP) grant is now closed – however, solar is now more affordable than ever! THIS PAGE IS FOR ARCHIVE PURPOSES ONLY. ENERGY MATTERS IS NOT CURRENTLY CONDUCTING ANY SOLAR SCHOOLS ACTIVITIES. This exciting program will help primary and secondary schools around the country take practical action to reduce emissions and electricity bills through installing solar power systems, while providing educational benefits for students in learning about renewable energy and environmental stewardship. A grid connect system from Energy Matters means you’ll have the very best in solar power components. Your school will also receive a range of great bonuses plus a Federal Government grant of up to $50,000 under the National Solar School Program! This means you can install a commercial-sized system with no out-of-pocket costs! Our school grid connect systems are built to last using the finest quality components that solar technology has to offer! Read more about the components of our school grid connect solutions. We have trustworthy and accredited grid connect installers throughout Australia who can ensure the best installation and a hassle free experience for your school! Commonly asked questions and answers relating to school grid connect systems, carbon dioxide emissions savings, how solar power power works and a brief history of solar industry milestones. We’ve been installing grid connect systems in schools throughout Australia for years. View photos of some of our more recent projects. Solar power is our specialty and we take great pride in our work. Read recent reviews from some of our many satisfied grid connect customers. 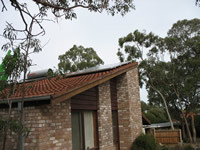 Energy Matters is Australia’s leading grid connect solar power installation company, having installed more systems than just about anyone in Australia. Learn more about our organization and our team. We offer the best value for your grant funding while maintaining our superb standards of client care. We’re also very active in schools throughout Australia, providing educational resources to teachers and students! Learn more. Solar schools grants + bonuses! Solar power systems will enable schools to generate some of their own electricity needs and reduce their consumption of fossil fuels. 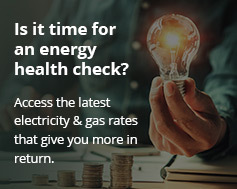 You can use solar energy sources to generate electricity in conjunction with your current electricity grid connection – and perhaps even generate additional income through feed in tariff schemes! The cost of installing a system can be totally offset through government grants of up to $50,000! We’ll even assist you with government solar grant application forms and provide plenty of additional bonuses such as educational resources not available through our competitors. With an Energy Matters grid connect solar system installed on your school, you’ll absolutely get the best value for your grant money! Call our Solar Schools consultants on 133 SUN, register your interest online or email us for further details. In a hurry? Download a brochure (PDF). THIS PAGE IS FOR ARCHIVE PURPOSES ONLY. ENERGY MATTERS IS NOT CURRENTLY CONDUCTING ANY SOLAR SCHOOLS ACTIVITIES.